Home > Apple Accessories > KOKKIA iSportHelmet : UNIVERSAL Sports/motorcycle Helmet Stereo Earphones + Microphone. Universal remote-control and volume adjustment. KOKKIA iSportHelmet : UNIVERSAL Sports/motorcycle Helmet Stereo Earphones + Microphone. for Apple iPhones/iPads/iPods, Samsung, Nokia and most Smartphones/Devices. 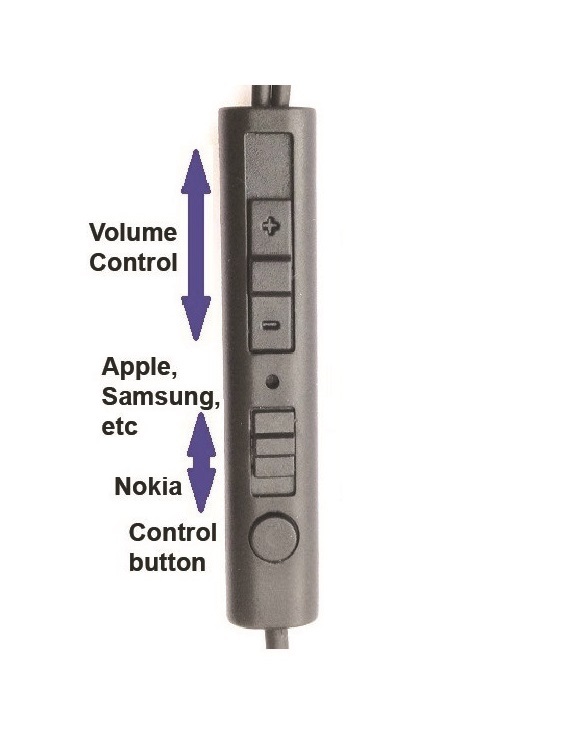 Universal remote control, volume adjustment and microphone works with Apple iPhones/iPads/iPods that support remote control, Samsung, Nokia, most Android, Windows smartphones/devices. Audio is supported by all smartphone models and any 3.5mm MP3/audio device. Stereo Earphones with Microphone and Remote Control and Volume Adjustment for Helmets (3.5mm jack, 4ft long cable). Can attach to SmartPhones/Tablets/MP3/Bluetooth receivers with 3.5mm audio jack. Play, Pause, Next, Previous, Volume Adjustment, Answer call, Hang-up call functions work with Apple iPhones/iPads/iPods that support remote control, Samsung, Nokia, most Android, Windows smartphones/devices. This iSportHelmet works extremely well with KOKKIA iAmplifier + Splitter ( http://store.kokkia.com/kokkiaiamplifiersplitterluxuriousblacktheultimatetinyportableheadphoneamplifiersplitterwithremotecontrolandmicrophonepass-thru.aspx ), for users who desire additional audio amplification, and/or enjoy music with someone else or their pillion rider. iSportHelmet: UNIVERSAL Motorcycle/ski/snowboard/sky-diving/extreme-sports helmet earphones with Universal Remote, Volume Adjustment and Microphone. Provide quality music and voice quality, while you bike and/or enjoy your sporting activity. 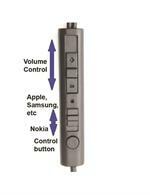 - Universal remote control, volume adjustment and microphone works with Apple iPhones/iPads/iPods that support remote control, Samsung, Nokia and most smartphone/devices that support remote control and microphone.